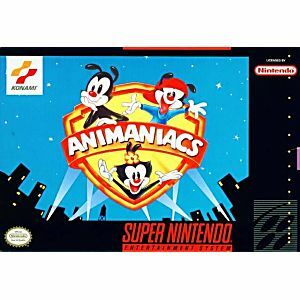 Animaniacs SNES Super Nintendo Game Cartridge Cleaned Tested and Guaranteed to Work! The Brain stole Hollywood's hottest new movie script. As the Warner Bros. CEO, I'm giving you (and the Animaniacs) the job of finding the script's missing scenes by searching through 7 Warner Bros.' movie sound stages filled with hilarious hijinks! I buy the game from Chile and it came in excelent condition! 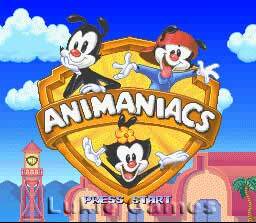 Who doesn't love the Animaniacs???!?!? Yakko, Wakko, and Dot. The pinky and the brain. Ahhh, So much memories! 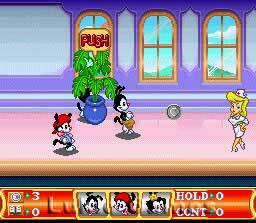 This is truly a great game for those who remember watching the cartoon series and who were there when this game came out. Perfect for any collection. Definately suggest it. 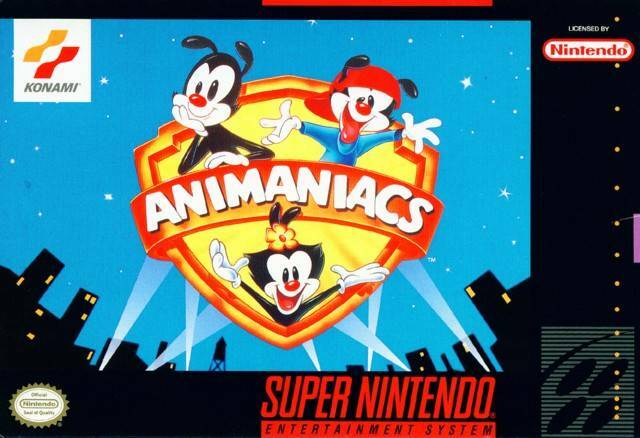 Animaniacs!, Great show, Great game, Great for fans and Snes collectors.